What is Clary Sage Oil ? 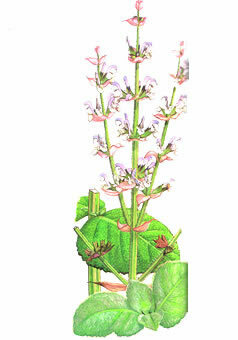 Clary Sage essential oil is distilled from the flowering tops and leaves of the plant. The clear oil has an interesting combination of a slightly sweet nutty scent, a hint of musk, and a touch of floral like aroma. Massage blends made with clary sage oil are extremely relaxing, sensual, and will revitalize and rejuvenate the body and mind. It has been known to even cause euphoria. Clary sage has special benefits for the women and is especially in tune with the feminine side of our nature. This classic floral fragrance contains a hormone-like compound similar to estrogen that helps to regulates hormonal balance. Massage with clary sage can help to ease menstrual cramps, and even help cool hot flashes during menopause. 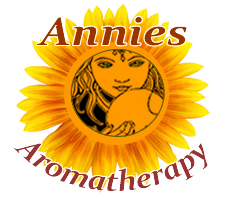 The sweet aroma lifts the spirits out of depression and is a calming remedy for anxiety. It calms the parasympathetic nervous system and is a good ally during times of nervous stress. Clary sage benefits your natural beauty regime as a hair tonic and rejuvenates dry skin. Clary Sage is one of my favorite oils as it enhances many blends. It is a warming companion that blends well with most other oils, favoring bergamot, cedarwood, chamomile, coriander, grapefruit, geranium, jasmine, lavender, lemon balm (melissa), lime, rose, and sandalwood to name a few. Use it in massage blends, baths, aroma lamps, and misters. Generally considered non toxic. However, even though a small dose is very effective, large doses can cause headaches. It is not recommended in cases of active tumors or breast cancer. Clary sage is recommended for women who are experiencing hot flashes, pain and tension associated with menopause. Use the fresh leaves in the kitchen, much like you would regular sage. Clary sage is a tall stately herb both cultivated and found in the wild. It is a native of Italy and Syria, preferring the dry, sunny climate of the Mediterranean region.